This year the Zwartkop airshow was blessed with fantastic weather. Two days without a single cloud in sight anywhere. In addition, the program was very attractive as we will see. As is usual, the Friday is the youth awareness day where schoolchildren from around are given the opportunity to see the different job opportunities in aviation and have a possibility to see different aircraft in action. Friday is also the day when most of the validation flights for the Show take place. There was an early start on Saturday, with the first microlight paragliders arriving at 07:30 already. Just after sunrise with the moon still prominent in the sky. The airforce band arrived in style, being airlifted to the show on board a C-130 Hercules. 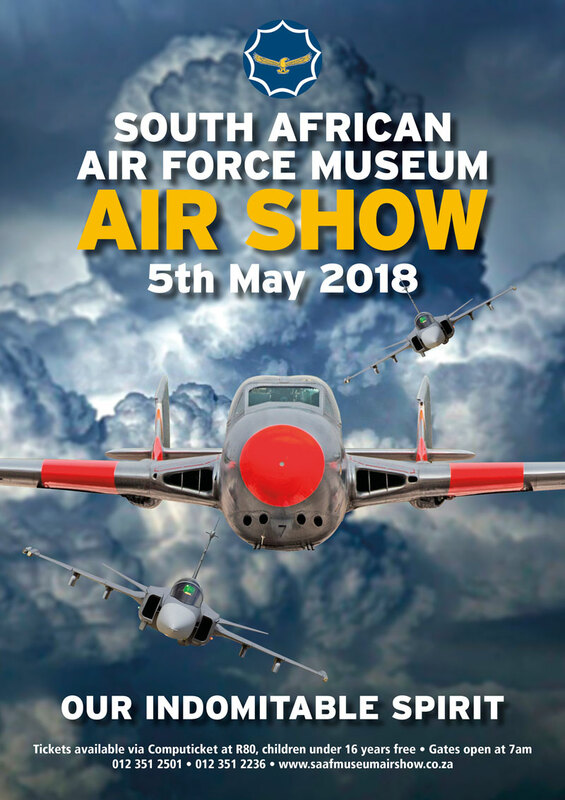 The first official act were the parachutists of the special forces that brought the scroll to the commanding officer of the Air Force Lt Gen Msimang who held a short opening speech. Following this, the emergency vehicles paraded along the runway and the stage was open for the days flying. Special in this year’s static park was the Elint and tanker Boeing 707 that was parked in the crowd area, making it easy to take pictures of it. There was also a Gripen and all current helicopters on display. The Museum exhibit was the F-86 Sabre. The Alouettes of the Museum Historic flight displayed in front of the crowd flying among other things in a circle but facing each other while flying the circle sideways. Flying the Pitts special, the Cows aerobatic team were the target of many jokes. The team of Scully and Ellis Levin, Arnie Meneghelli and Sean Thackwray was formed in 1985 and has since flown over 1700 displays. The team incidentally supports the COWS charity that looks after cancer patients. As a sponsor of the airshow the South African low cost carrier Mango displayed a Boeing 737. It was flown by the ubiquitous Scully Lewin. Painted in the well known trainer yellow, the Tiger Moth would have been a common sight during the war years when students got their first experiences at flying. This example in SAAF colours was flown by Lt Col Jeff Earle. The Museum Flights Vampire Trainer makes a marked difference to modern jets when it comes to performance. Incredible to think that it is already more than 60 years old. The longer the more the pilots flying these historic aircraft are younger than the machines they fly. As the airshow is the only source of revenue of the museum, it is of course the aim to show as many as possible of its aircraft. This time there were four Harvards that took to the sky, besides the Cessna 185, the Bosbock and Kudu. Introduced in 2005, the Hawk is used as lead in fighter trainer and in the ground attack role and weapons training. It was build at Denel in South Africa, using local components. One of the aircraft taking part in the flying had a special paint scheme of a Gannet on a black tail and spine. It carried the name "Gannet" on the fuselage side.